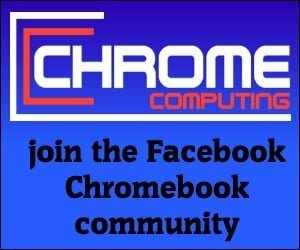 Home News	Will the HP Chromebook X2 change Hybrid Chromebooks as we know them? In the last few years, we have seen a huge shift away from Chromebooks in traditional laptop form. Most middle and high range Chromebooks now come as a 2-in-1 that can be used as a laptop or tablet. This possibly explains why HP is trying something different with the HP Chromebook X2, which moves away from the Hybrid Chromebooks we know to a design similar to Microsoft Surface laptops. It’s without question the demand for Hybrid Chromebooks have increased over the last few years. This has been helped by the introduction of Android Apps to the Chromebook. Before Android Apps was introduced having a Hybrid Chromebook did not make much sense. However, having a Chromebook that you can use as a laptop or tablet provides a perfect combination for Chrome OS and Android Apps. So Hybrid Chromebooks are definitely here to stay. We all love our 2-in-1 Chromebooks because you are essentially getting a laptop and tablet for the price of one device. They are great to use and work perfectly with Android Apps. One of the most successful Chromebook Hybrids to date is the Asus Chromebook C302 Flip. The Asus C302 has been a huge success both in the UK and USA and the fact you can use it as a tablet is part of its success. However, a Hybrid Chromebook works perfectly well in laptop mode, but can the same be said when using a hybrid Chromebook in tablet mode? It works perfectly fine, but I still struggle to get a true tablet feeling when the underneath of the tablet is holding the Keyboard and touchpad. It feels strange when using your Chromebook as a tablet and you suddenly realise your fingers are pushing into the keyboard. Firstly, you’re worried that you may damage the keyboard by pressing too hard into the keys. This is easily done when using your Chromebook in tablet mode because you’re concentrating on the task in hand and sometimes forget about the surface underneath. Another concern is that you may damage or scratch the underneath of your Chromebook when using it as a tablet on a train table for example. So it’s fair to say although we cannot do without our Hybrid Chromebooks. They are definitely not perfect when using as a tablet. This is where the HP Chromebook X2 comes in because it deals with this problem by offering a detachable keyboard. Is the HP Chromebook X2 the way forward for Chromebook Hybrids? For anyone who has used a Microsoft Surface laptop. You cannot deny it’s a pretty cool device to use. It has obvious flaws because it runs Microsoft Windows, but there is no denying the hardware side of things is great. The keyboard is nowhere near as good as what you get on the Asus C302 or Google Pixelbook, but being able to detach it from the display provides a true tablet and laptop combination. 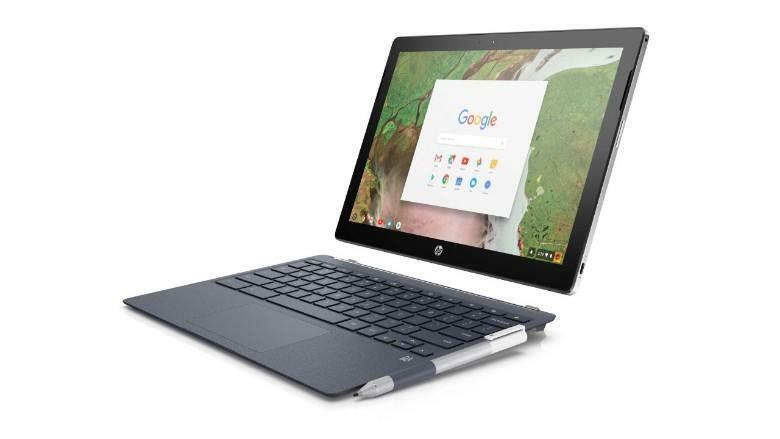 So have HP made a good choice bringing a similar device to the Chromebook market? There is definitely a place in the Chromebook market to offer a laptop and tablet in one device. Also, having a keyboard that can be completely detached from the display makes sense. The question on whether it will become the new standard for Hybrid Chromebooks is difficult to say. The first issue being the HP Chromebook X2 is the only device to offer this. Also, the HP Chromebook X2 is not necessarily cheap. So what do you get for your money? 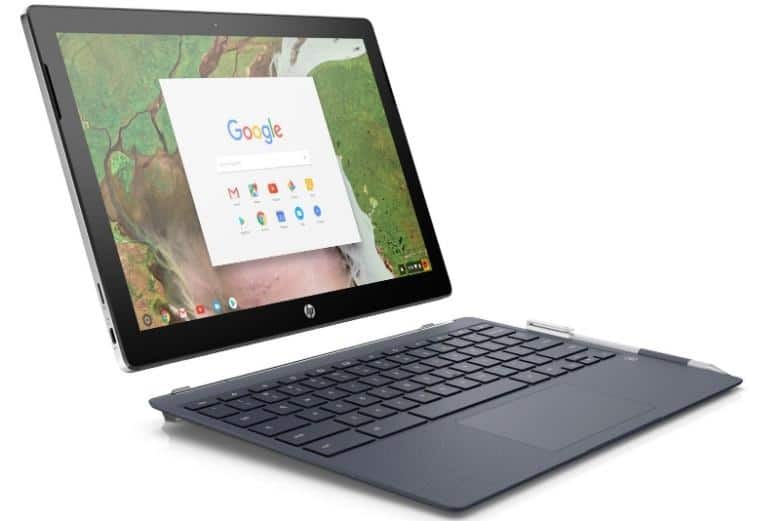 The HP Chromebook X2 is currently available in the UK for £799.00. In the USA you can get your hands on the X2 for as little as $599.99, but it has a lower spec than the model available in the UK. Something you should take into consideration when looking at the price is that the stylus comes as standard. This is pretty good to see when you consider you have to pay an extra £99/$99 for the stylus on the Google Pixelbook. This is the standard on most Chromebooks, none of them come with a Stylus included in the price. So HP gets a thumbs up here for including the Stylus in the price. You also get 8GB of RAM and 64GB of storage on the UK model, so you will have no problem when it comes to memory and storage. The Intel Core m3-7Y30 dual-core processor capable of speeds up to 2.6GHz and 4MB of cache will keep things running smoothly. You’ll have no problem using the Chromebook for most tasks including some of the most demanding Android Apps from the Google Play store. The display on the HP Chromebook X2 is the impressive part here. The 12.3-inch display with an IPS-WLED edge-to-edge glass technology is capable of a resolution of 3,000 by 2,000 pixels. So you will get stunning images from the HP Chromebook X2. Will the HP Chromebook X2 succeed? It makes perfect sense for the HP Chromebook X2 to be successful. Other than the fantastic display on offer it’s the ability to truly use the device as a 2 in 1. No matter how much I love my Asus C302 I find it strange using it in tablet mode when the keyboard is underneath. The HP Chromebook X2 resolves this problem by providing the detachable keyboard. The obvious issue is the price. Is £799.00 expensive for what you get? If you spent a further couple of hundred you could get your hands on the Google Pixelbook, but even with the Pixelbook, you would still have the problem of not having a detachable keyboard. There are likely two main reasons why the price is so high. 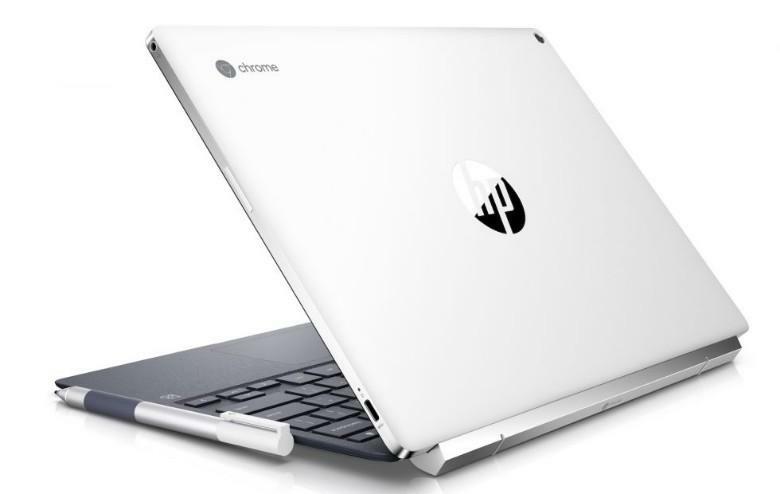 Firstly, HP will be aware this is the first model of its kind available on Chrome OS. This instantly means a manufacturer can hike up the price. This aside though, the display you get on the HP Chromebook X2 is stunning and that does not come cheap. We’ll have to wait and see whether this type of Chromebook takes off in the future. Personally, I’d like to see what other manufacturers could offer using a similar design because I can see why it makes a perfect match for the Chrome OS ecosystem.